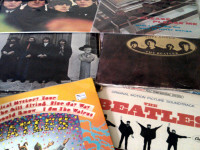 Earlier this year, I wrote about the secret campaign by major record labels and publishers to stop the release of public domain recordings, most notably Beatles records that outsold the offerings from major label records at retail giant Wal-Mart. The campaign included extensive lobbying for an extension in the term of copyright for sound recordings. The government included the extension in the April 2015 budget, with Prime Minister Stephen Harper writing personally to the Graham Henderson of Music Canada to inform him of the change. The reforms were a gift to the recording industry, with the result that Canadian consumers now face higher prices and less choice. Stargrove Entertainment, the company behind the public domain Beatles releases, has found that the industry is still blocking attempts to bring works in the public domain to market. As a result, this week it filed a complaint with the Canadian Competition Tribunal, claiming that major record labels such as Universal Music and Sony Music, music publishers, and CMRRA are violating Canadian competition law by refusing to deal, engaging in illegal price maintenance, and exclusive dealing. The company is seeking an order requiring the companies to provide a mechanical licence so that it can continue to produce and sell public domain records. The complaint (CT-2015-009) should be posted on the Tribunal site shortly. The complaint tells a fascinating behind-the-scenes tale, with the recording industry doing everything in its powers – including posting false reviews and pressuring distributors – to stop the sale of competing records. The complaint notably identifies Universal Music Canada as a key player in the alleged activities, including former President Randy Lennox, who last week jumped to Bell Media.